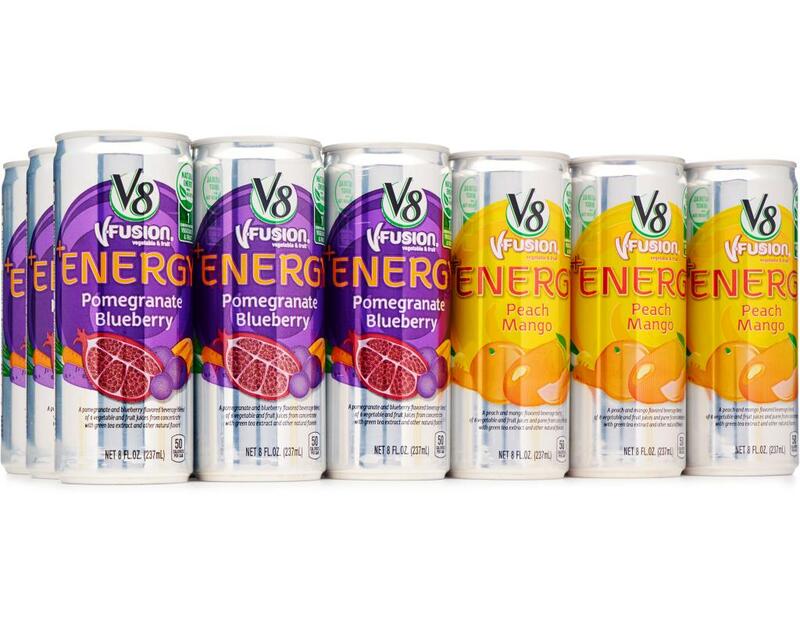 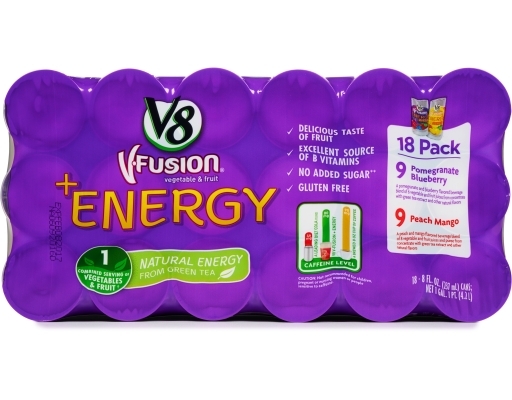 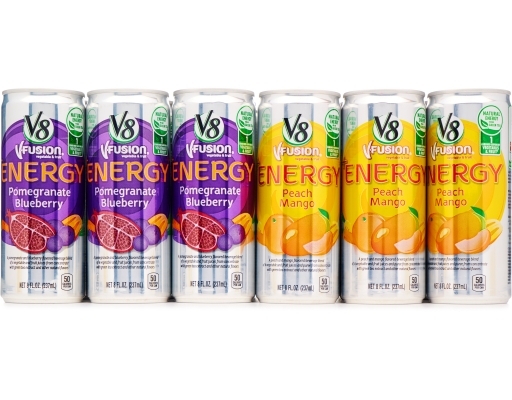 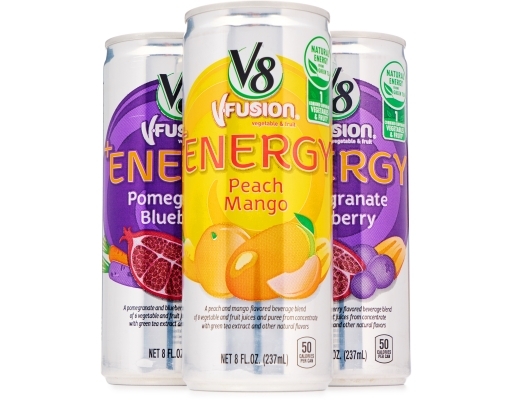 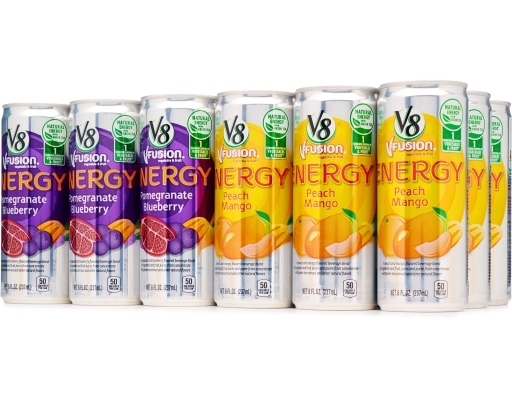 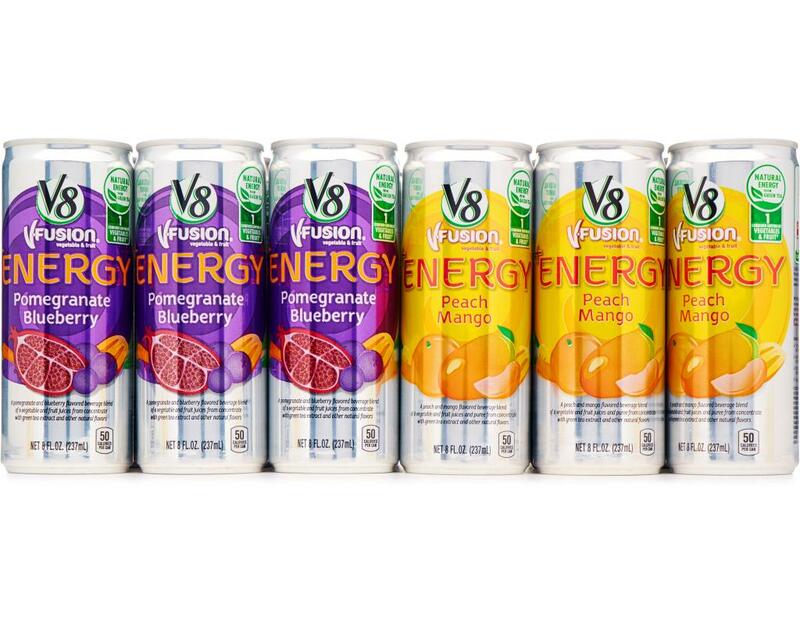 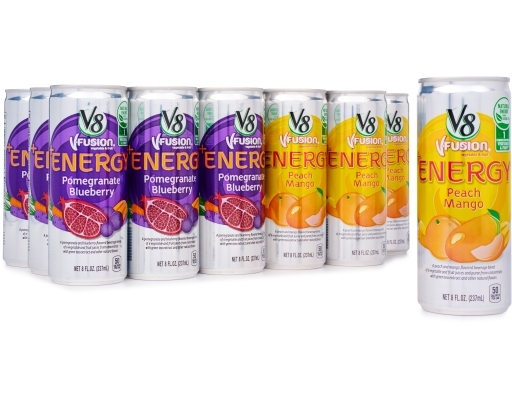 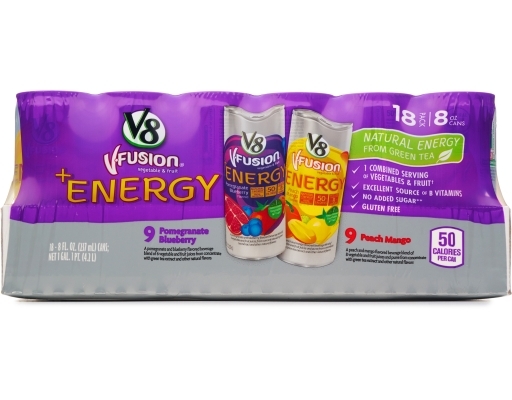 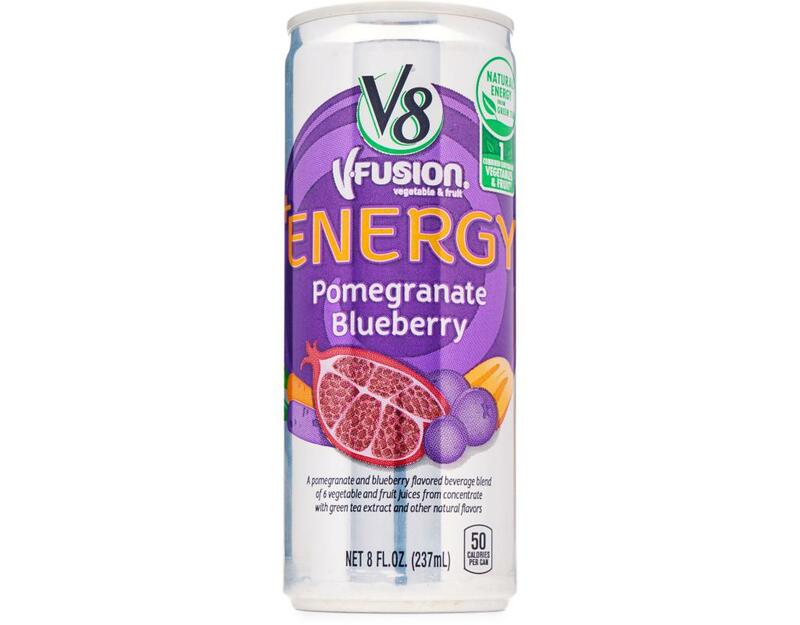 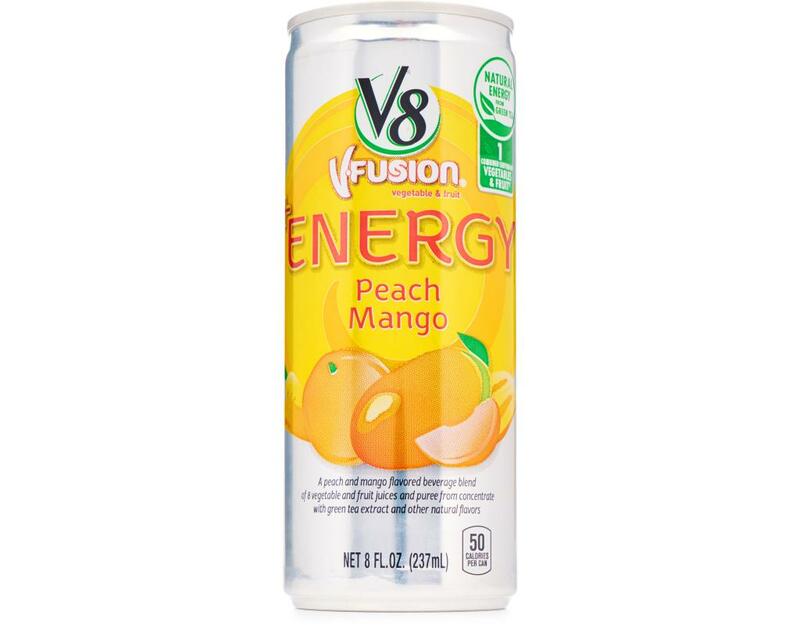 Get the boost you need to get through your busy day with V8 +Energy. 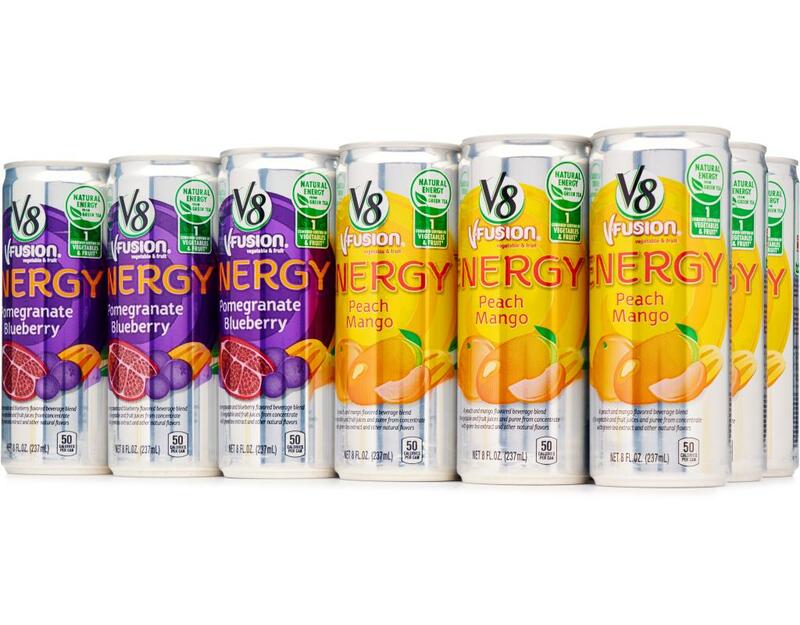 A refreshing juice that is powered by natural green tea—so you can feel good about it, too. 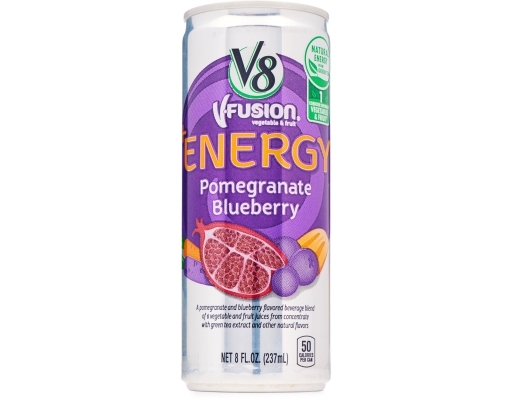 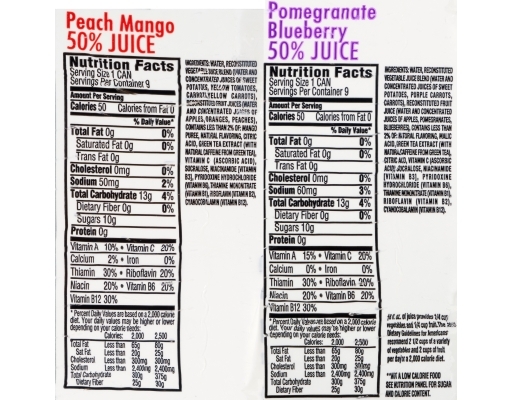 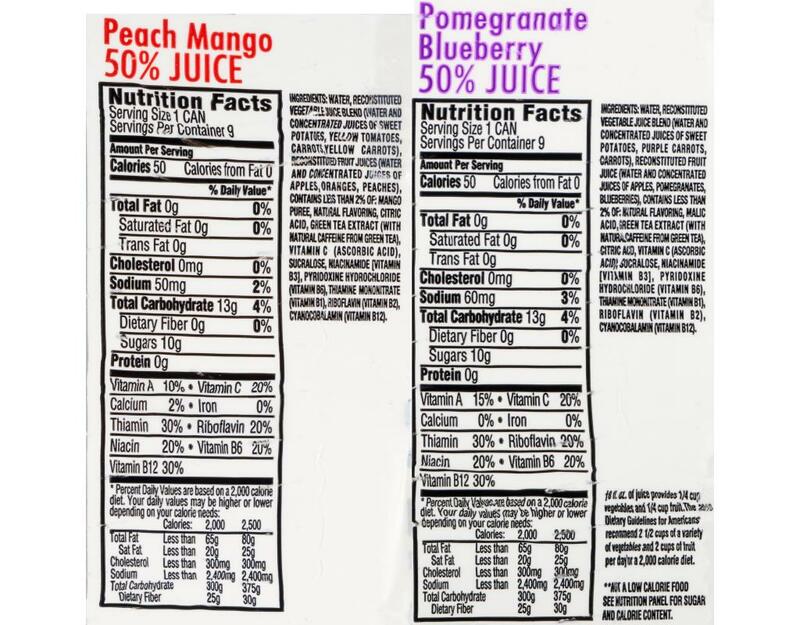 Pomegranate Blueberry: A pomegranate and blueberry flavored beverage blend of 6 vegetable and fruit juices from concentrate with green tea extract and other natural flavors. 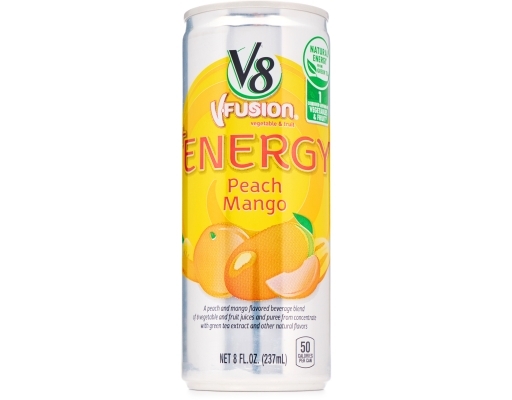 Peach Mango: A peach and mango flavored beverage blend of 8 vegetable and fruit juices and puree from concentrate with green tea extract and other natural flavors.